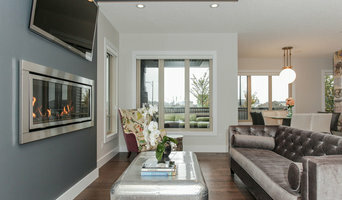 Proudly building quality, innovative homes in the Edmonton area. We build homes to a higher standard so you have a maintenance free home for years to come. Infills, Custom, Estate and even basement finishing, we do it all! Visit our website or contact us at (780) 910-1156 Our standard spec is other builders upgraded spec. DREAM. BUILD. LIVE. Choices, that is what life is all about and at Innova Homes we offer just that! Whether you are looking for an estate home, acreage, city home, basement development or even a garage we are your clear choice. We are proud to partner with the best trades & suppliers in the business, to bring you an elite home that will last a lifetime. At Innova Homes we are a member of the Canadian homebuilders association - Edmonton Region & our warranty provider is progressive new home warranty. Our 1 year all inclusive builders warranty, 2 year plumbing, electrical & mechanical warranty & 10 year structural warranty will bring you peace of mind. 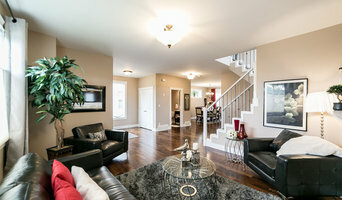 Engaging Spaces Home Staging and Contracting Ltd.
Professionally staging your home is an essential step for buyers to envision your home as their new space! We specialize in strategic design principles and amazing online photos combined with real estate understanding and the buyer demographic of your area in order to assist you in successfully selling one of your biggest investments. We will work directly with your realtor. 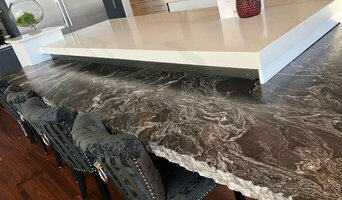 Atlas Granite Inc. is one of the largest importer and fabricator of beautiful stone products for residential and commercial uses in Western Canada. Currently we have two locations in Edmonton with a total of over 35000 square feet, including a design gallery, slab warehouse and a fully automated manufacturing plant. Atlas maintains a large inventory of slabs imported from all around the world in our warehouse. Our current selection of over 2000 slabs is worth over $2 million and includes exotic rare colours which you won’t find anywhere else. With natural stones every batch is different and every slab is unique. We offer our customers the opportunity to select the slabs they like for their project rather than making the decision based on a small sample. Also, unlike other fabricators, we bypass slab wholesalers completely by importing directly from overseas. Although there is fair bit of carrying cost involved but it does results in significant cost savings which we pass on to our customers. At Atlas we use the latest in processes and equipment for manufacturing, including state-of-the-art computer aided design/manufacturing systems, robotics and digital templating with laser beam technology. Also we are as passionate about the environment as we are about our work. That’s why our process includes the recycling of the water we use through the course of fabrication process. We take great pride in our exceptional service & total dedication to our clients making Atlas Granite Inc. the preferred supplier to all customers from individuals to builders. With 1000’s of satisfied customers, Atlas Granite has the knowledge and experience to help you achieve your dream kitchen, bath, fireplace, or other custom project Our knowledgeable and professional staff is always available to assist you, be it over the phone or in person. 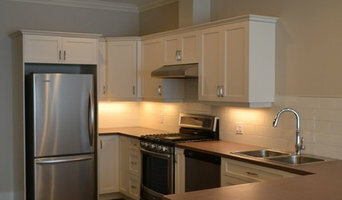 Atlas Granite Inc. ensures that you get "the best quality at the best price." We welcome everyone to come and visit us at our Showroom. We look forward to seeing you. Cross-Country Builders started building in 2011. A life long dream to be a home builder we took the plunge to start our own building company. With many years of construction experience in contracting, consulting, designing, drafting and service. It was a natural fit. We specialize in acreage and custom homes. Helping you from the beginning getting the proper start from before you purchase your land, to design of your home and fitting it with the perfect finishes. We are a design build team. We don't build many homes a year so each client gets one on one customer experience. At Cross-Country we believe in character and craftsmanship for a lifetime, meaning we build homes that have longevity in design and construction, using high quality products creating a quality built home. We believe in customer service and personal touches, helping our clients create a home for family memories. Lori is passionate about making your vision come to life with personal one-of-a kind designs. Your wants and needs are important to her, while respecting your budget, taste and style. Fresh Look Design, a St. Albert Chamber of Commerce Award-Winning Interior Decorating Company, has been in business for 15 years. It is owned and operated by Lori Drinkwater, a Certified Interior Decorator and a Certified Canadian Staging Professional that is an expert in Residential Real Estate Staging. Clients admire that she is very easy to work with, friendly, honest, respectful, professional, knowledgeable and can work with any decorating style. When you work with Lori you get unique designs, outstanding customer service and projects completed in a timely manner. Lori has a strong eye for color, and excels in coordinating furniture, accessories, blinds, draperies and bedding She can also help you choose new finishes for your home and carries unique artwork and accessories for her clients. Lori's vision is that she wants you to have a beautiful and functional space that you are excited to come home to! Rococo Homes designed and builds signature homes that are as unique as our customers wishes. We take our over 25 years of home building experience to assist our customers with building the home they would like. From design to turn key we are there every step of the way. Dragon Seed Interior Design Inc.
At Aquarian, we design and execute high-end interior and exterior home renovations in select Edmonton neighbourhoods. Founder Doug Soprovich was a third-generation building contractor and has been building in Edmonton for over 32 years. Aquarian's design and project management teams are dedicated to a high level of craftsmanship, which they display on every renovation. Our main focus is on building relationships and trust with our clients. Because of our focus, the majority of our business comes from repeat clients and referrals. With every client that we serve, we strive to extend our reputation of quality, honesty, and professionalism. We also strive to be the leader in our market and our industry. In this regard, we are an active member of various industry and community associations, including the Canadian Home Builders Association – Edmonton Region and it's affiliate, RenoMark. Edmonton Interior Design and Decor Best of Houzz 5 Years in a Row! Proudly the best boutique design studio in Edmonton. We always get it magazine perfect. Wholesale Bevel & Edge Ltd.
Edmonton's award winning boutique interior design studio. We are ready to listen to your needs and develop the perfect interior design solution for your project. Marie started interiorsBYDESIGNinc. because she loves what she does and is crazy passionate about creating the perfect space for her clients all within budget! We resource the best products and shop for the perfect materials and finishes that add up to truly unique interiors. Our passion and attention to detail has also got us amazing media attention. Being voted BEST OF HOUZZ in interior design and customer service SIX YEARS IN A ROW, we've also been featured in local, regional, national and international websites and magazines! Marie is a true, modern Canadian designer with strong classical roots. Described as fresh, inspired and timeless, Marie has a wide vocabulary of stylistic approaches and artfully balances form, function and style as well she can integrate the past with present trends. Her interiors are nuanced and tailored and have a lasting quality that is always the hallmark of every project. Marie's endless creative ideas, design process and budget strategies expedite a project's process. Simply put - we deliver extraordinary interiors. Reach out to multiple professionals — especially for larger projects — and don't settle for the first bid you hear. Comparing multiple Acheson, AB professionals' bids and experiences can help you find the one that’s best for you. Ask a lot of questions now, so you won't have unexpected answers later. Find a home design professional on Houzz. Narrow down your search by type of professional and location. Browse Acheson, AB portfolio photos, read client reviews and contact each Acheson, AB professional for more information. Check out the information in the specialized professional sections too for tips on how to hire the right professional for your project.